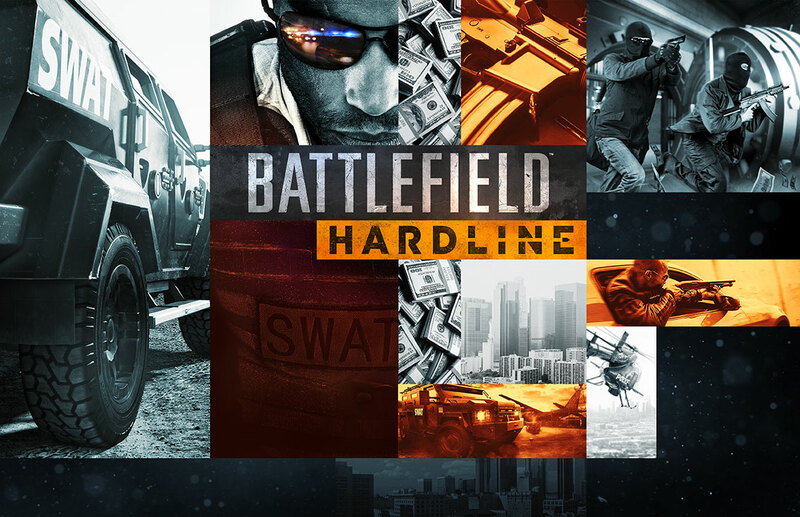 Electronic Arts and Visceral Games have announced Battlefield Hardline which is different from prior Battlefield games because it is more of a cops and robbers style game as opposed to Your typical Battlefield game that is more or less all out war. The game was confirmed in the following blog post, and is expected to have an bigger unveil at E3 2014 on June 9th at EA’s Conference at 3 PM ET. Battlefield Hardline is due out in fall 2014. Also Gamespot has the leaked video on their youtube page which you can watch below. REDWOOD CITY, Calif.–(BUSINESS WIRE)–Electronic Arts Inc. (NASDAQ: EA) today announced EA SPORTSTM NHL® 15, the first title in a new generation of hockey videogames that boldly changes everything you know about the award winning franchise. Experience the hard hitting chaos and unpredictability of the sport as real-world physics are extended to all 12 players on the ice, as well as the puck itself. Look, move, play and think like a real hockey player with all new authentic player modelling and an evolved arsenal of tools, including the Superstar Skill Stick and Vision AI that allow for an unprecedented level of control and elevated player intelligence. Take in the emotion of every play as you immerse yourself in authentic arenas across the National Hockey League. You’ll play in front of a full house of fans created with 9,000 dynamic and individual crowd models, the most ever in a sports videogame. Finally, witness the most realistic broadcast package to date, as NHL 15 overhauls the look of the game with the new NBC Sports Game Day Presentation featuring the commentary team of Mike ‘Doc’ Emrick and Eddie Olczy. TSN analyst Ray Ferraro will also provide insights at ice level. From the ice, to the fans, to the presentation, NHL 15 brings to life the sights, sounds and feel of the fastest team sport on the planet like no other game before. Watch the debut NHL 15 – Official Teaser Trailer now. NHL 15 will hit stores worldwide this fall for Xbox One, PlayStation®4, Xbox 360® video game and entertainment system, and the PlayStation®3 computer entertainment system. Full feature descriptions at the bottom of the release. 12 Player NHL Collision Physics – For the first time, real-world physics affect every player through every on-ice collision with the new 12 Player NHL® Collision Physics. Utilizing the power of the new consoles, and building off the critically-acclaimed NHL Collision Physics system, every player on the ice is governed by physics at all times. Feel the hard-hitting chaos of NHL hockey through true-to-life secondary collisions, net scrambles and player pileups, capturing the desperation of every shift. Real Puck Physics – The puck is one of the most complex items in the game to authentically replicate and it finally gets its due in NHL 15. Completely rebuilt puck physics result in a more realistic feel to every puck interaction. Everything on the ice, including the ice surface itself, is live which leads to the unpredictable and authentic puck spins, rolls and bounces seen in a real NHL game. Authentic Player & Equipment Models – The Next Generation Hockey Player has been rebuilt from the ice up. Now player models have three distinct layers – the body, equipment, and jersey. Each layer interacts independently, making every contact with the puck or other players even more realistic. Dynamic Cloth technology adds an extra layer of realism as it reacts to the player’s movement as they explode up the ice, helping bring the speed of the game to life. Unprecedented Player Likeness – Powered by the same technology that brought the most realistic representation of the athlete to EA SPORTS UFC, NHL 15 delivers groundbreaking player likeness, emotion and animation. From the strides a player takes to get across the ice to the emotion on their face after scoring a game-winning goal, the players are as real as they’ve ever been. Superstar Skill Stick – Now all the tools of an NHL superstar are in your hands. The revolutionary Skill Stick has evolved to give even more control to the player. Protect the puck, receive passes without breaking stride, and discover an arsenal of new dekes, all with an intuitive right stick control scheme that is easy to use but packed with depth. Vision AI – An elevated level of player intelligence, Vision AI features evolved awareness with players reading and reacting to potential plays. Scoring area recognition, pass anticipation, and enhanced team breakouts all improve the flow of the game. A New Commentary Team – New voices for a new generation. NHL 15 welcomes the NBC Sports commentary team of Mike ‘Doc’ Emrick and Eddie Olczyk to the broadcast booth. TSN analyst Ray Ferraro will provide game insights at ice level. Leveraging the same Vision AI foundation that the players have, and just like a live broadcast, Doc, Eddie and Ray will anticipate plays and ramp up their intensity to match the action on the ice with more than 35,000 lines of brand-new commentary. NBC Sports Game Day Presentation – The most realistic broadcast package in a video game to-date is possible because of a new partnership with NBC Sports. Set the scene with the NHL on NBC crew welcoming you to the city during the game intros and immerse yourself in an experience that matches what you see on television with NHL on NBC graphics and branding. Real Life Broadcast Integration – When we say Doc and Eddie are in the game, we mean really in the game. Taking commentary integration to the next level, NHL 15 will feature real world pre-game video commentary with Doc and Eddie. Set against NHL 15 in-game visuals, the result is a revolutionary step forward in sports videogames, where the lines between the real world of sport broadcast and the game are blurred. Over 9,000 Crowd Models – NHL 15 sets a new standard in videogames with more than 9,000 individual crowd models with 4x the animations of previous generations. Take a look through the glass and you’ll see fans hold up signs with your name on them, costume wearing superfans, or even sections full of team rivals rooting against you. Living Crowds – The crowd is alive. Feel the crowd behavior change after dropping the gloves, landing a big hit, or scoring a clutch goal. Individual behaviors are mapped to each person in the crowd, as they anticipate the play, taunt players, clap to music from the dynamic Jumbotron or even take a quick break from the action to snap a selfie and immortalize their experience. Authentic Arenas – There is no feeling like being there, and we are giving you the best seats in the house. The power of the next-gen consoles finally allows the NHL franchise to capture every detail of an NHL arena. Unique arena elements from more than 19,000 seat capacities to lighting and player entrance tunnels are captured with a level of detail not possible on the previous generation. Now those home games will truly feel like home. NHL 15 is in development at EA Canada in Vancouver and has not yet been rated by the ESRB or PEGI; visit http://www.esrb.org and http://www.pegi.info for more information. Become a fan of EA SPORTS NHL on Facebook and follow us on Twitter. EA SPORTS is one of the leading sports entertainment brands in the world, with top-selling videogame franchises, award-winning interactive technology, fan programs and cross-platform digital experiences. EA SPORTS creates connected experiences that ignite the emotion of sports through industry-leading sports videogames, including Madden NFL football, EA SPORTS FIFA, NHL® hockey, NBA LIVE basketball, PGA TOUR® golf, SSX™ and EA SPORTS UFC. For more information about EA SPORTS, including news, video, blogs, forums and game apps, please visit http://www.easports.com. NHL® 15 is an Officially Licensed Product of the NHL and the NHLPA. In fiscal year 2013, EA posted GAAP net revenue of $3.8 billion. Headquartered in Redwood City, California, EA is recognized for a portfolio of critically acclaimed, high-quality blockbuster brands such as The Sims™, Madden NFL, EA SPORTS™ FIFA, Need for Speed™, Battlefield™ and Mass Effect™. More information about EA is available at http://www.ea.com/news. EA SPORTS, The Sims, SSX, Need for Speed, Mass Effect and Battlefield are trademarks of Electronic Arts Inc. and its subsidiaries. John Madden, NFL, NCAA, NHL, NBA, PGA TOUR, UFC and FIFA are the property of their respective owners and used with permission. “PlayStation” is a registered trademark of Sony Computer Entertainment Inc. In partnership with the National Hockey League (NHL®) and the National Hockey League Players’ Association (NHLPA®), starting today fans get to decide the face of a new generation of hockey videogames with the launch of the EA SPORTS NHL 15 Cover Vote Campaign on NHL.com/CoverVote. From a pool of eight superstars, fans worldwide are encouraged to visit NHL.com to vote as often as possible to ensure their favorite player advances through the weekly elimination rounds. Fans can double their voting power by using these player-specific hashtags on “Twitter Vote Thursdays” and can join the conversation by using #NHL15CoverVote. The winner will be unveiled as the EA SPORTS NHL 15 Cover Athlete at the 2014 NHL AwardsTM on June 24 at the Wynn Las Vegas in Las Vegas. To download assets, please visit the EA press site at http://info.ea.com. Visit the EA SPORTS NHL 15 website for more details. NHL 15 is in development at EA Canada in Vancouver and has not yet been rated by the ESRB or PEGI; visit www.esrb.org and www.pegi.info for more information. Become a fan of EA SPORTS NHL on Facebook and follow us on Twitter. EA SPORTS is one of the leading sports entertainment brands in the world, with top-selling videogame franchises, award-winning interactive technology, fan programs and cross-platform digital experiences. EA SPORTS creates connected experiences that ignite the emotion of sports through industry-leading sports videogames, including Madden NFL football, EA SPORTS FIFA, NHL® hockey, NBA LIVE basketball, PGA TOUR® golf, SSX™ and EA SPORTS UFC. For more information about EA SPORTS, including news, video, blogs, forums and game apps, please visit www.easports.com. In fiscal year 2013, EA posted GAAP net revenue of $3.8 billion. Headquartered in Redwood City, California, EA is recognized for a portfolio of critically acclaimed, high-quality blockbuster brands such as The Sims™, Madden NFL, EA SPORTS™ FIFA, Need for Speed™, Battlefield™ and Mass Effect™. More information about EA is available at www.ea.com/news. SAN FRANCISCO — April 8, 2014 — Today, Ubisoft® announced that The Crew will be available this fall for Xbox One®, the all-in-one games and entertainment system from Microsoft, the PlayStation® 4 computer entertainment system and PC. 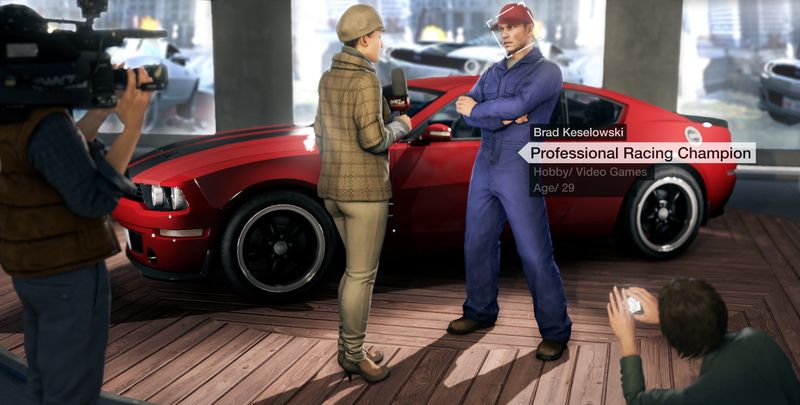 The Crew is a revolutionary action-driving game that takes gamers on a reckless ride throughout a massive, open-world recreation of the United States brimming with exciting challenges and populated by other real players. 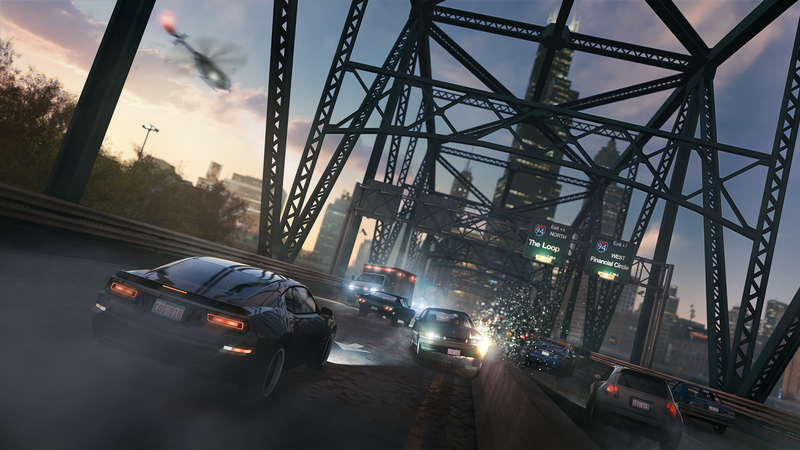 The Crew’s premiere gameplay trailer, released today, shows four cars, each in a different iconic region of the United States, forming a crew to continue their journey together across the living, breathing open-world. The Crew is now available for pre-order in two different editions for Xbox One and PlayStation 4. The Limited Edition will grant early access to rides that will prepare gamers for any road—and off-road—conditions. Players who pre-order this edition will receive early access to the BMW Z4 sDrive35is, Mini Cooper S, and Dodge Ram SRT-10 and their respective sets of full custom and performance parts. The Muscle Edition, which can only be pre-ordered at GameStop, will include all early unlock content from the Limited Edition and will also grant exclusive early access to the 2015 Ford Mustang GT. 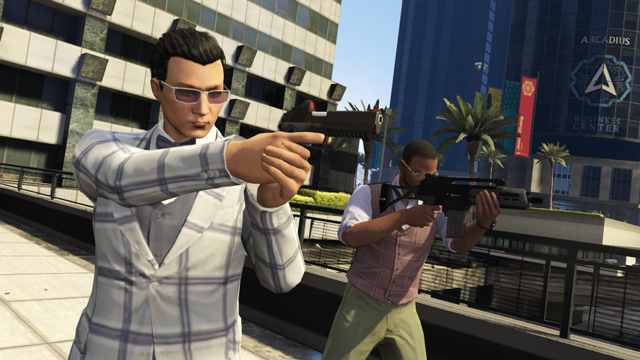 Both Editions include 10,000 bonus Crew Credits. 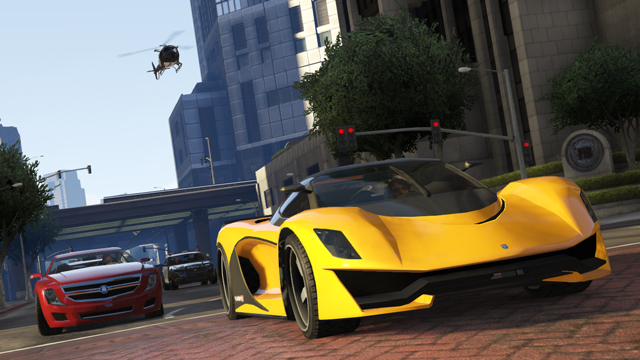 Players can pre-order The Crew for Xbox One and PlayStation 4 at their local retailers. Ubisoft is a leading creator, publisher and distributor of interactive entertainment and services, with a rich portfolio of world-renowned brands, including Assassin’s Creed, Just Dance, Tom Clancy’s video game series, Rayman and Far Cry. The teams throughout Ubisoft’s worldwide network of studios and business offices are committed to delivering original and memorable gaming experiences across all popular platforms, including consoles, mobile phones, tablets and PCs. For the 2012-13 fiscal year Ubisoft generated sales of €1,256 million. To learn more, please visit http://www.ubisoftgroup.com. ©2014 Ubisoft Entertainment. All Rights Reserved. The Crew logo, Ubisoft and the Ubisoft logo are trademarks of Ubisoft Entertainment in the U.S. and/or other countries. Xbox One is a trademark of the Microsoft group of companies and is used under license from Microsoft. A quick recap of video game news is below. 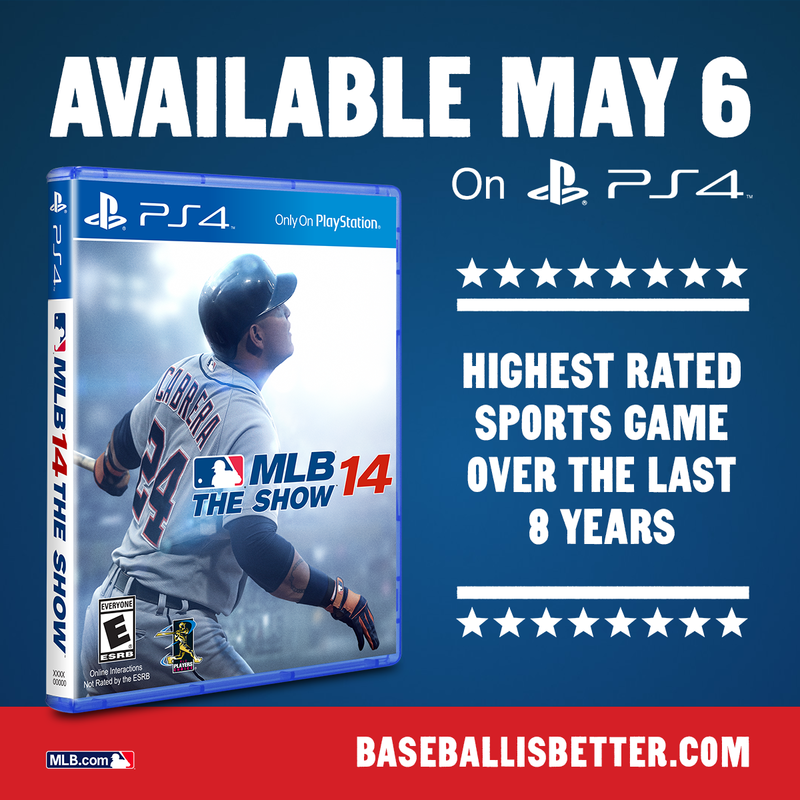 MLB the Show ’14 was released last week on the PS3 and PS Vita to good results in terms of reviews, to this point I’ve yet to see a bad review. Speaking of MLB the Show ’14, there was a new trailer for the PS4 version released and it shows off the stadiums. Specs for the PC version of Ubisoft’s Watch Dogs have been revealed, you can find the list towards the bottom of the steam page for the pre-order of Watch Dogs. Speaking of Watch Dogs they released a Welcome to Chicago trailer a couple weeks back, I don’t believe I posted it, but you can find the video here WARNING: Use of profanity; violence; gun play. RBI Baseball is going to be released April 9th for PS3, Xbox 360 for $19.99, and on iOS devices for $4.99. Still no word on the PS4 and Xbox One versions. That is just a brief glimpse into the last couple of weeks in gaming, as you can see, it is pretty uneventful. Today Amazon announced that their Amazon Prime membership will go up to $99 a year. Which depending on how often you use the service is still a pretty good deal. But predictably there is outrage (despite the rumors of it happening) of a $20 annual increase. To me is doesn’t seem that bad considering the money saved on shipping, and other features it has. This afternoon Sony Computer Entertainment America revealed that their hit baseball simulation game will be released on PS4 on May 6th. The game will be available on April 1st for PS Vita and PS3. This picture was taken from the MLB the Show Facebook page. I came across a few previews for Watch_Dogs yesterday after the latest trailer was launched, and the May 27th release date was announced, and overall my excitement for the game is renewed because the previews came back positively. Unfortunately being a small blog I am not afforded the same opportunity to play the game or any other games for that matter before its release so I along with others obviously have to read previews from other outlets that have been given the chance to play these games. I hacked the front gates open, and then turned on the sound device. A guard walked over to figure out what it was, and I set off the explosion, blowing him off his feet and killing him. A bug prevented the other guards from noticing the explosion outside, so I was able to slip in and hide behind a wall. Using the cameras in the compound, I scouted the area, tagging all of the bad guys. I skipped my view from the cameras mounted high above the courtyard to ones mounted on the vest of a guard, using his patrol to help locate the computer. Certainly this would be a cause for concern typically if you read the entire preview and spotted where it said that, but with a little less than three months before the game ships, I think that the bug will be fixed before the release. Once you read the preview pieces below if you haven’t come across them already I think you will share in my excitement for the game. Of course over the next couple of months I hope we got more information and videos to tide us over to the release of Watch_Dogs. Below are links of previews done around the web, I sorted them by personal favorite previews, that way if you are on a time crunch you can try to read the best of the previews now, and possibly the rest later. This is a hilarious preview, at least I thought it was funny, it was witty and sarcastic all in one. It was easily my favorite preview. Another well done preview, and this also has a video that has interviews with the development team which also revealed why the game was delayed. This is a nice 3 page/section preview done by Game Informer, it is broken down into sections such as information on the game, hands on impressions, and so on. Marty Silva of IGN reports his impressions of Watch_Dogs, another worthwhile preview. PARIS – March 6, 2014 – Today Ubisoft revealed that its highly anticipated action-adventure open world game, Watch Dogs, released worldwide on May 27, 2014 Playstation 4 , Playstation 3, Xbox One ® , Xbox ® 360 and PC. Wii U ™ version is released at a later date . Players who purchase Watch Dogs on Playstation ® or Playstation ® 3 ™ 4 will have access to 60 minutes of additional gameplay. Watch Dogs in , the player will play Aiden Pearce, a talented hacker whose violent and criminal past caused the loss of his family. Driven by the desire for revenge, he will track relentlessly those responsible for this tragedy. With its smartphone, it will be able to monitor and hack everything that surrounds it, including CTOs , the monitoring system of the city of Chicago. Aiden can access the cameras, download confidential information about its targets, controlling traffic lights to cause accidents … and much more! With its smartphone, the city becomes the ultimate weapon to quench his thirst for revenge. More information about Watch Dogs are available on the official website , Facebook page and Twitter account . Ubisoft is a world leader in the creation , publishing and distribution of video games and interactive services. The Group owns a portfolio of internationally recognized brands such as Assassin ‘s Creed , Just Dance , Rayman , Far Cry series or video game Tom Clancy . Ubisoft teams , through its global network of studios and distribution subsidiaries , are committed to offer players unforgettable experiences and original game on all popular platforms, including consoles , mobiles, tablets and PCs . For the year 2012-13 , Ubisoft generated sales amounted to EUR 1 256 million. For more information , please visit : http://www.ubisoftgroup.com . © 2014 Ubisoft Entertainment. All Rights Reserved. Watch Dogs, Ubisoft and the Ubisoft logo are trademarks of Ubisoft Entertainment in the U.S. and / or other countries. “PlayStation” , “PS3 ” and ” PS4 ” are registered trademark of Sony Computer Entertainment Inc.
Microsoft , Xbox , Xbox One are registered trademarks or trademarks Either of Microsoft Corporation in the United States and / or other countries. PARIS – 6 Mars 2014 – Ubisoft révèle que son très attendu jeu d’action-aventure en monde ouvert, Watch Dogs, sortira dans le monde entier le 27 Mai 2014 sur Playstation 4, Playstation 3, Xbox® One, Xbox® 360 et sur PC. La version Wii U™ sortira à une date ultérieure. Les joueurs qui achèteront Watch Dogs sur Playstation®3 ou Playstation® 4™ auront accès à 60 minutes de gameplay supplémentaire. De plus amples informations sur Watch Dogs sont disponibles sur le site officiel, la page Facebook et le compte Twitter. Ubisoft figure parmi les leaders mondiaux de la création, édition et distribution de jeux vidéo et de services interactifs. Le groupe possède un riche portefeuille de marques de renommée internationale telles que Assassin’s Creed, Just Dance, Rayman, Far Cry ou encore la série de jeux vidéo Tom Clancy. Les équipes d’Ubisoft, à travers son réseau mondial de studios et de filiales de distribution, s’engagent à offrir aux joueurs des expériences de jeu originales et inoubliables sur l’ensemble des plateformes populaires, dont les consoles, mobiles, tablettes et PC. Pour l’exercice 2012-13, le CA d’Ubisoft s’est élevé à 1 256 millions d’euros. Pour plus d’informations, rendez-vous sur: www.ubisoftgroup.com. “PlayStation”, “PS3” and “PS4” are registered trademark of Sony Computer Entertainment Inc.
Microsoft, Xbox, Xbox One are either registered trademarks or trademarks of Microsoft Corporation in the United States and/or other countries. Today Ubisoft revealed the release dates for all versions of Watch_Dogs except for the WiiU version and that date is May 27, 2014.The WiiU version will come out on a later date. Accompanying that news was a new Watch_Dogs in a trailer that tells more about the story of Watch_Dogs where it is learned that he is seeking revenge for his daughters death. The trailer doesn’t say how the 6 year old was killed but there is no doubt that the game will offer a lot of details into that as we progress, and since it has been learned that this was a family ordeal I would not be surprised if his wife was also murdered as well, granted there is no evidence to support this as there is with the daughters tombstone, but I don’t recall seeing Aiden Pearce’s wife anywhere in screens or videos leading up to this. So it would make sense to assume that the wife was also a victim of the hit on Aiden Pearce. You can watch the trailer below for the roughly two and a half minute story trailer. Overall I was underwhelmed by it, I was hoping for more. I mean it is nice to have an idea of what the game centers around now, but overall it still looks a lot like the same game. Perhaps the IGN coverage on the game later today will bring more info as to what really is happening in the game. Overall though, it is nice to see the game back on the radar, but is it too late? I will do a piece on that and release it soon. There is an expectation that there will be new Watch Dogs material coming out this week, according to a report from Gamespot it might feature a trailer along with the release date on the “new” game. I am interested to see if they improved the visuals, if anything that was the weakest point of the game. Well that and to this point we really do not know a whole bunch about the game as a whole outside of Aiden Pierce is out to do damage to those who somehow harmed his family. The game looked and sounded fantastic before the delay, but if there was one weakness that Ubisoft had, it was the lack of real info on the game. 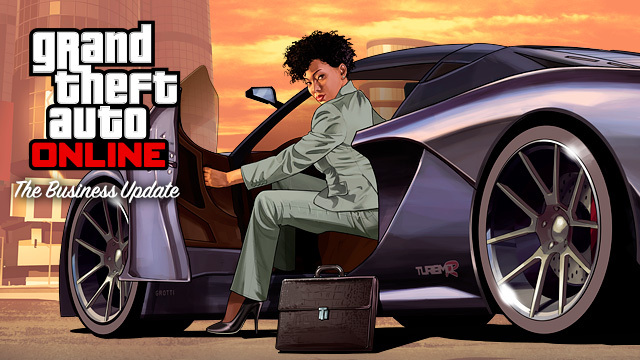 On Tuesday Rockstar Games released its “The Business Update” for GTA Online. 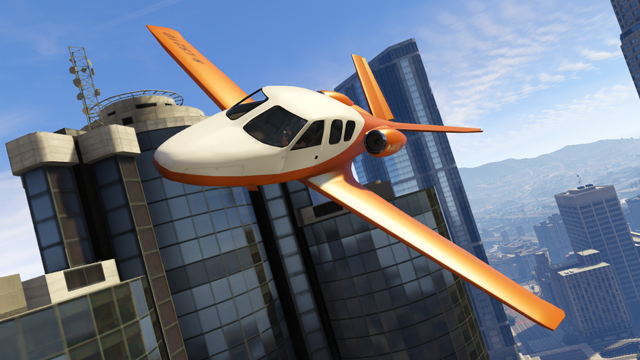 The release offers 3 more new cars, a couple more weapons, a new jet, and a collection of new clothes. SCEA has put out a couple of new blogs on Operation Sports this week, the first one dug into your Universal Profile and Stubs which is virtual currency but not used like it was in NBA 2k14, you can read that here, and the second one released today goes into Online Franchise which can be read here. A notable release this week was South Park: The Stick of Truth was has released to some good fan fare, it was released on Ps3, Xbox 360, and PC.